I thought that maybe Saturday lunch would be a good time to try out Movida without the crowds - unfortunately with the public holiday, it wasn't to be. We did manage to snag a seat in the bar area. A delicious way to start but I would have loved to have tried some of that aoili - unfortunately the plate was whisked away mid bite. Vieria, jamon y espuma - Half shell scallop oven baked with jamon and potato foam. 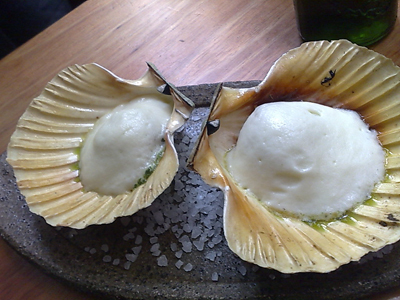 Scallops were perfectly cooked, still retaining that translucent quality. 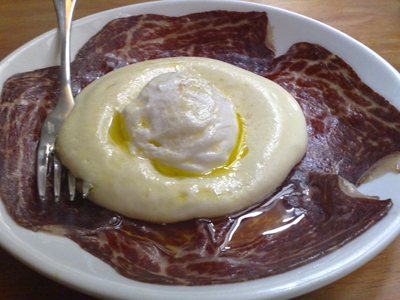 Cecina - air cured wagyu beef thinly sliced with truffle foam and poached egg. If you only ate this dish you would leave perfectly satisfied - it really is that good. 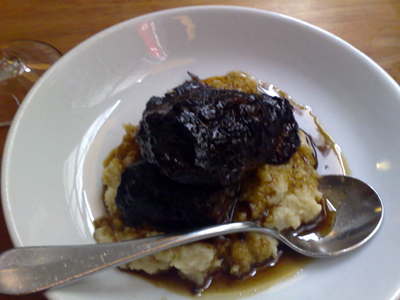 Carillera de buey -Slowly braised beef cheek in Pedro Ximenez on cauliflower puree. 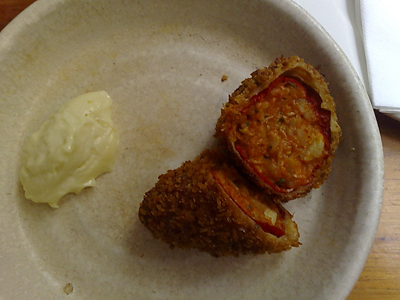 Surprisingly, although the beef was extremely tender and well-cooked, its flavour was overpowered by the cauliflower. You can't really complain because the cauliflower puree was unbelievable tasty. 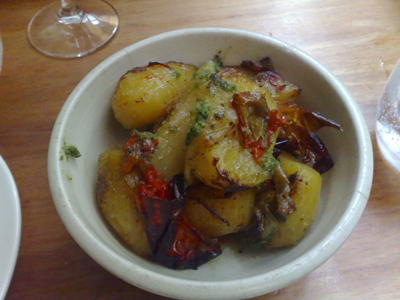 Patatas a la pobre - poor man's potatoes - slow cooked nicola potatoes with peppers in olive oil. A simple dish with exquisite, developed flavours. While there are no complaints about the food I would have to say that the service lets it down - at best you would call it indifferent. This post reminded my stomach and taste buds I haven't had tapas in ages and MUST do ASAP with this coolish weather. 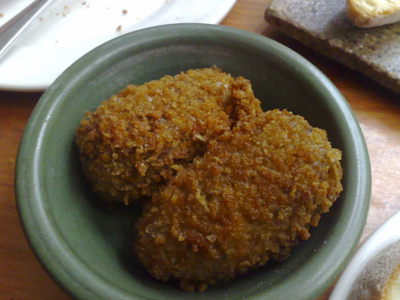 Any recommendations re: best tapas in town? Also, curious that you don't seem to frequent (eg. haven't seen it in your blog) Cicciolinas in St Kilda. It would seem to be right up your culinary alley. Don't look past the crab souffle there. Hi Kyla - having just eaten there, I'd easily recommend Movida for the food. I haven't gone to Anada or Bar Lourinha but the reports are that they are good too. I've been to De Los Santos but I know it can be a bit hit and miss. I really enjoyed Basque in Chapel Street but I haven't been there in a couple of years so I'm not sure what it is like now. 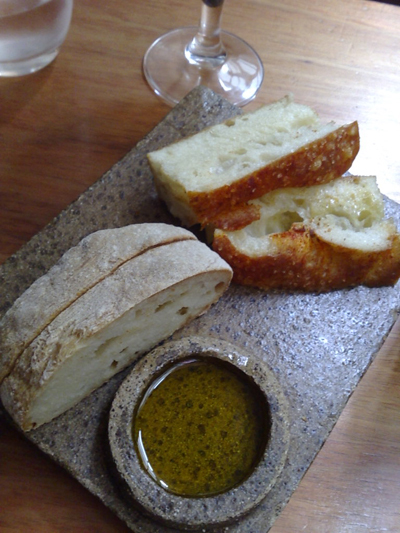 There are also some good things on the menu at Lulo. We'll keep Cicciolina in mind but we don't really eat out in St Kilda. Movida and Movida Next Door are two places and Movida Next Door is just next door to the original Movida. Movida Next Door doesn't take any bookings. There's absolutely nothing wrong with eating in St Kilda, there are many fine places, it's just not someplace we go.